You’ve probably already realized that logical reasoning questions make up half your total score on the LSAT. It’s critical that you have this section mastered if you want a high score. Thankfully, the logical reasoning section of the LSAT is very teachable. Start off your LSAT prep with the best logical reasoning prep books to give yourself a proper foundation to reach a high LSAT score. These LR prep books are the best available for self-study on the logical reasoning section. If you are self-studying, check out my overview on how I self-studied to get a 177 on the LSAT for a look at the full picture. Logical reasoning prep books alone won’t get you all the way there- you’ll need to master logic games and reading comprehension as well. What do you say to recommend strongly enough the book that helped you score a 177 on the LSAT and get none wrong on both logical reasoning sections? (Evan also used it to hit his 173 with only one LR question wrong on the whole test). Powerscore sets the gold standard for LSAT prep books. For me his book would be worth it at ten times the cost. Right now it’s around $40 on Amazon. When I started out studying for the LSAT I used other logical reasoning prep books. Even after a lot of study, I was hitting a wall where I would consistently miss 6 to 7 question on timed logical reasoning section. Switching to the Logical Reasoning Bible (commonly called the ‘LRB’ for short) was the key for me to unlocking the LR section- after a few weeks with this system I was hitting only 2 or so wrong then gradually I was able to get it so that I was rarely getting any wrong. Why does the LRB work so well? I think the essential elements are that it provides an in-depth look at every facet of logical reasoning and explains everything in a way that you can use. 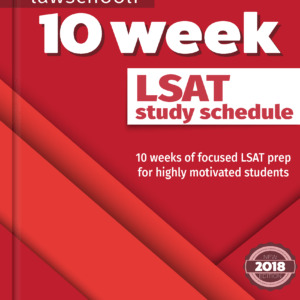 Junk books like Princeton Review’s ‘Cracking the LSAT’ purport to teach you the whole LSAT (logical reasoning, logic games, and reading comprehension) in less space then this book uses to just handle just the logical reasoning section. Powerscore approach is the right way. The LRB divides logical reasoning questions into very intuitive categories and gives detailed advice for approaching each type. These categories are exhaustive; you will never see anything on the actual LSAT that this book hasn’t given you an effective strategy to deal with. Nor is their anything wasteful- the book is written tightly and sticks to the point. The techniques aren’t merely explanatory, either: they are designed to show you a process for how to do these questions quickly so that you can score high on the real, timed test. The LRB has over 500 pages of instruction, drills, and practice questions and examples that use real LSAT questions. As someone who sees so many people not living up to their potential on the LSAT, books that do anything less than the LRB are just frustrating to me. Yes, it’s expensive for Powerscore to license the use of real LSAT questions. However, it’s necessary. Fake questions are generally way over-simplified compared with the real thing and don’t provide useful skills reinforcement. This book, regrettably, wasn’t out when I prepped for the LSAT. It’s a completely different format from anything else out there. 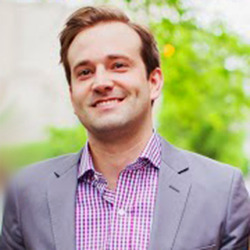 What Nathan Fox does is simple: he takes a ton of LR questions from real LSAT prep tests (over 20 tests worth) and explains the answers in regular English (though ‘regular’ doesn’t quite capture it, Fox is a funny and stylish writer. You will enjoy reading this book). There’s no nonsense jargon here: it’s just a high LSAT scorer explaining how you should think when you attack these problems. In that sense, Disrespecting The LSAT is something of a counterpoint to the LR bible. It really demystifies the whole process of doing LR questions shows you that they aren’t really all that scary- they can be dismantled in a logical and straightforward fashion. Here’s what I think: you read this book alongside the LR bible and it will really help streamline your thinking. Rather than approaching each question like a robot (“okay, it’s time to use my assumption negation technique from the LRB“) you’ll understand when you can just dispatch a question rapidly and move on. How? Fox shows you how to answer the question in advance before you get to the answer choices, so that you won’t be distracted by BS answer choices (warning: Fox swears a lot in this book. Law school professors swear sometimes too, so best to get over it now if you still have hangups). Option one is that you do these 20 preptests first on your own and use this book as review and further practice. If you do this, you’ll be reviewing your correct answers as well. That’s fully okay. A lot of times the LSAT will let you pick the right answer for the wrong reasons. The Logical Reasoning Encyclopedia will give you total understanding. The problem with this approach is that you miss out on the helpful lessons upfront. Option two is that you start out your LSAT prep with this plus the LRB. Yes you won’t be able to use the LR sections in those tests as fresh material, but you will still have plenty of fresh full preptests for simulating tests (there are 7 preptest more recent than the ones he uses, and 39 older ones). It’s my firm belief that you’ll be totally okay doing this. Either way, this book is an invaluable look at how a great LSATer thinks. Anyone shooting to join the 170 club is well-advised to make use of it. 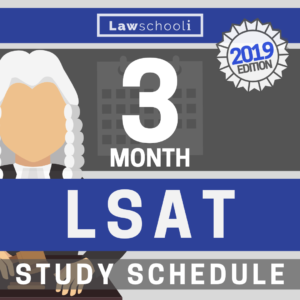 The other thing that you NEED to correctly learn the LSAT logical reasoning section is a ton of LR sections from actual, official LSATs. You can’t buy full LR sections separately from the logic games and reading comp sections. That’s okay, you’ll need them to learn those sections too. We recommend that you have at least the 40 most recent preptests in addition to your other prep material. Recent preptests are necessary because the test changes very slightly over time. Though old tests are sufficiently similar to current tests and provide valuable practice, recent tests will do the best job of preparing you for what you’ll face on the day off. As such, you should work up from old to new so you are doing material from the most recent preptests as your actual LSAT test day approaches. Apologies if this sounds a little legal: we are completely independent and do not receive any money to recommend these prep books over any others. This represents our firm opinion as to what are the top LR prep books based on our experience. Both of us tried everything that was out there when we took the test. 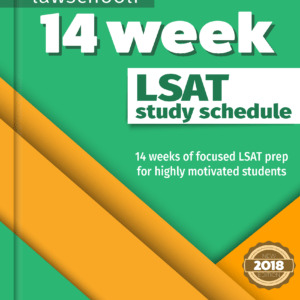 While we haven’t had a chance to review it Manhattan LSAT’s Logical Reasoning Strategy Guide enjoys an excellent reputation in the LSAT prep world. We will be reviewing this and Manhattan’s other offering as soon as possible, so check back on the blog for that. That said, you can’t possibly go wrong with the books we have recommended above. Get out there and start prepping with these, and we promise you will see huge improvements from your cold diagnostic LR score. Previous ArticleWhat Is Law School Like? If I sign up for the Mastermind Group, is there any kind of money back guarantee? I took a timed LSAT test through kaplan and I got a 145. What would you recommend for learning the fundamentals? I am desperately seeking your advice. Even though I started studying in June and took the PowerScore class, I managed to bomb my DEC LSAT (I scored in the 140s). I’ve purchased some additional study materials (including those that you recommend), but I keep getting a lot (i.e., 10) of questions wrong in each LR section. Do you think your Mastermind group could help me? What can I do to at least break into the mid 150s? I know you need Josh and Evan’s help but since I was in your shoe awhile ago I thought of giving you my 2 cents. I understand studying for 6 month is enough for some people but its not enough for some other people. Maybe you need more time before you can take another official LSAT. I was in 140s and I have improved a lot. I relied on Manhattan LR and RC which has helped me a lot. I’ve heard great things about Mastermind Group. I think it helps those who need help with fundamentals which I believe is your case. I was not reviewing properly either. You MUST take preptests (I would recommend 50-present or 60-present) and review a lot. Taking a test without reviewing it is a waste of your time. Reviewing is what helped me see improvement. Justify why each answer is wrong or right even if it takes you the whole day. Josh and Evan actually wrote a really good review strategy blog which I relied on and it has helped me. Don’t just review the wrong answers, also review ones you were unsure about. Look at the explanation only after you have used all your brain cells to figure out why the right answer is right and the others are wrong. Take notes of your mistakes and review those mistakes before you take the next preptest. I was able to go from -9 on LG to -1 in a short period of time by doing a lot of LG (starting from prep test 30) and reviewing those as well (7sage or other test materials might be helpful). After you are confident that you understand the fundamentals (I would recommend Josh and Evan’s strategy of doing untimed work until you get 90% + correct on each sections), make sure you do most of your work timed. Just like Josh and Evan wrote in one blog, you have to get used to the timing after you understand the fundamentals. What are your thoughts on the “Blueprint” test preparation company and their methods (if you are familiar with them) ? I don’t know anything at all about how they teach LR and RC, though I haven’t heard anything bad. Their LG methods are very good, maybe even the best. Which one would you recommend studying more. I bought both based on your recommendation. I was just wondering if you can provide some insight on which one is more useful if you can only choose one. The Logical Reasoning Bible is kind of essential to learn the basic skills, so that’s the one I’d go with if I only had one. So you don’t recommend using Kaplan? I took a course with them and I have their books, so far it’s going well but I’m worried that it won’t be the best study guide in comparison to powerscore. Do you think it is a good idea to get another guidebook for logic games, because I struggle with those a lot. 1) To my knowledge, Kaplan doesn’t use real LSAT questions from previously administered actual, official LSAT preptests in their commercially available books. This is reflected in the lower cost of Kaplan books, since they don’t have to pay LSAC licensing fees. However, these fake LSAT questions are likely to do more harm than good in my opinion. Fake questions simply don’t accurately reflect the types of questions that you will see on exam day and are, at best, a weak approximation of the real thing. 2) Having said that, Kaplan does appear to use real LSAT prep questions in the books that they distribute when you enroll in one of their LSAT prep courses. Therefore, the Kaplan course material will be much more useful than the commercially available Kaplan books that you can pick up at your local bookstore. Nevertheless, I still believe that the PowerScore method taught in the Logical Reasoning Bible is far superior to the methods taught by Kaplan. If you are struggling with LSAT logic games, I absolutely think that you would benefit from a copy of the Logic Games Bible. The Logic Games is commonly cited as the most difficult section of the LSAT for many students. However, LG is also the most LEARNABLE section of the exam, so you truly can expect to earn a significant improvement in your score on that section if you work hard and prep with the right material. Good Luck! Let us know if you have any other questions we can help you with!